Got lucky last night! I was walking around last night and happened to have a camera. 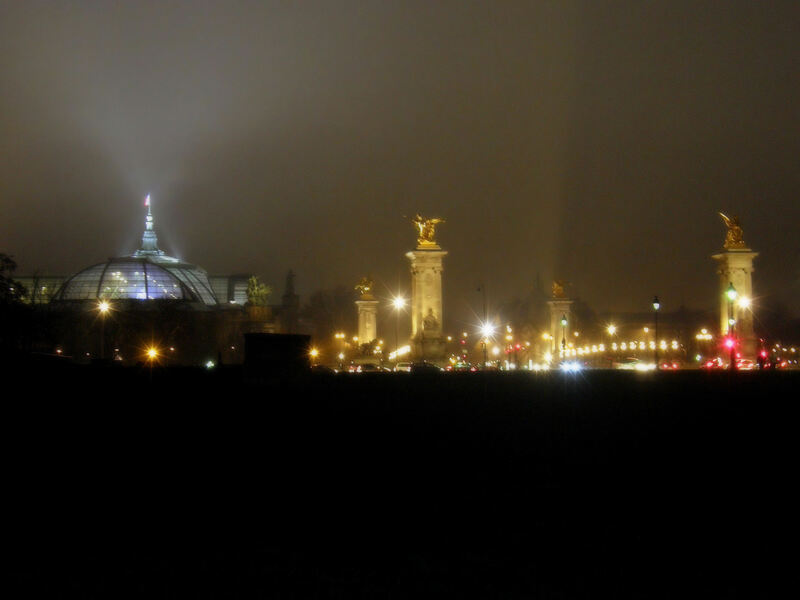 To see other Paris Pics of mine, visit Paris By Cell Phone. Man, if I ever win the lotto I’m moving to Paris to live. Awesome photos man. Rodney! How nice of you to follow me all the way over here! Glad you liked the photos and you don’t need to be rich to crash at my place for a couple days! 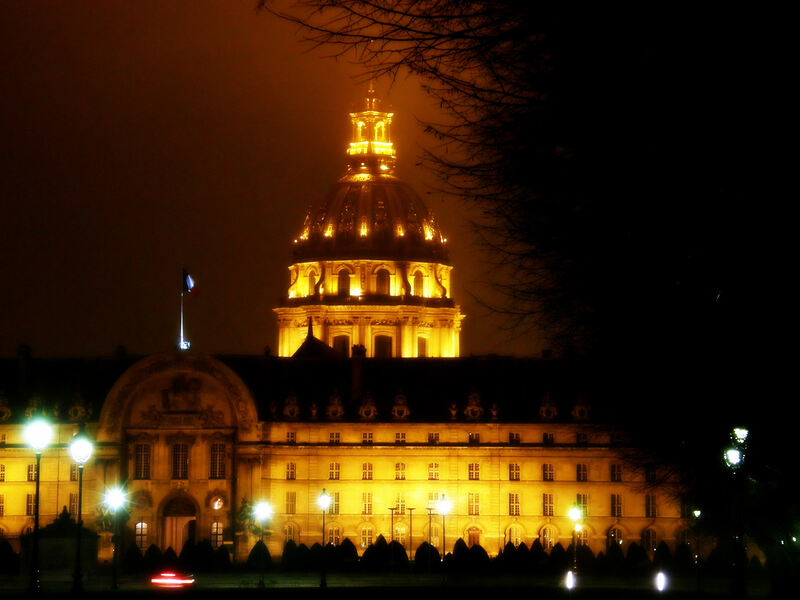 Wow – absolutely stunning photos and make me miss Paris more than ever! Thanks for sharing -must have been amazing to see it all in person! Cheers. Thanks for stopping by, Carolyn! 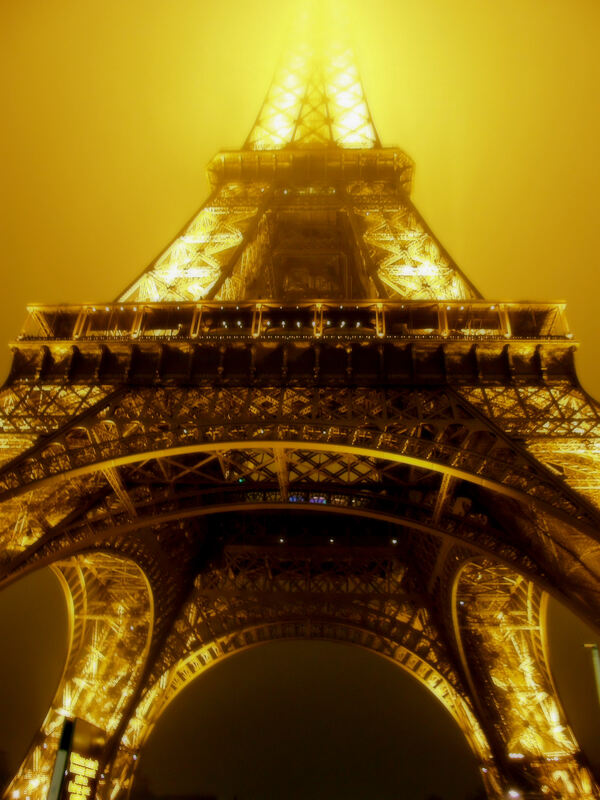 Paris misses you, too! And yes, it was amazing to have seen it. Beautiful, beautiful captures! I wish I could have been there to see this in person! It looks so surreal, so mysterious (the ET, that is. The other iconic places are very lovely, too, but nothing like the Iron Lady in these). I’m so glad you had your camera, too! It definitely would’ve been more fun with you! Next time for sure. 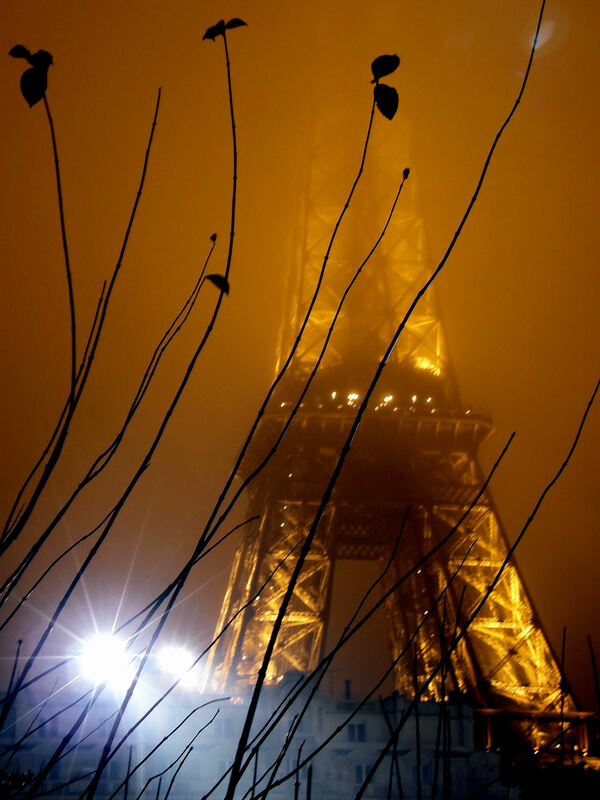 I have seen the Eiffel Tower in the mist, but it never looked that good. 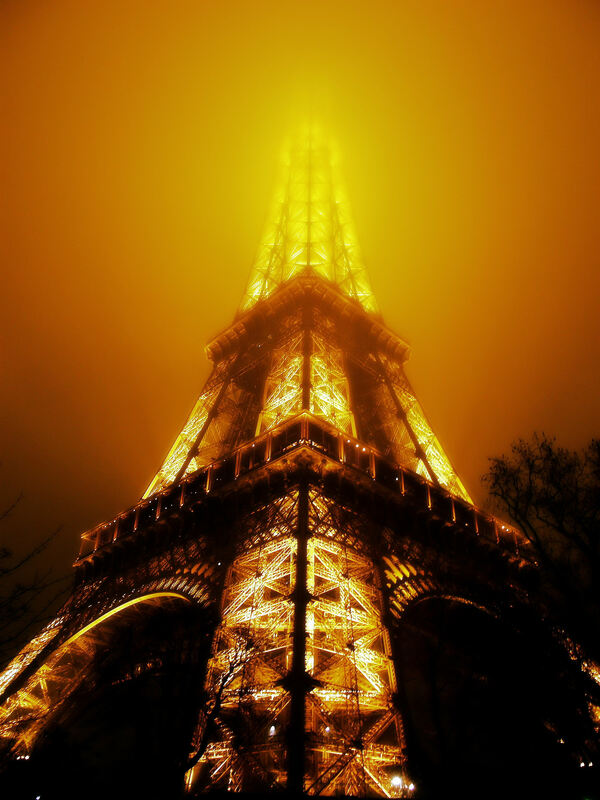 Your Eiffel Tower photos are absolutely stunning, wow, really amazing. PS Your tasteful site looks delicious. 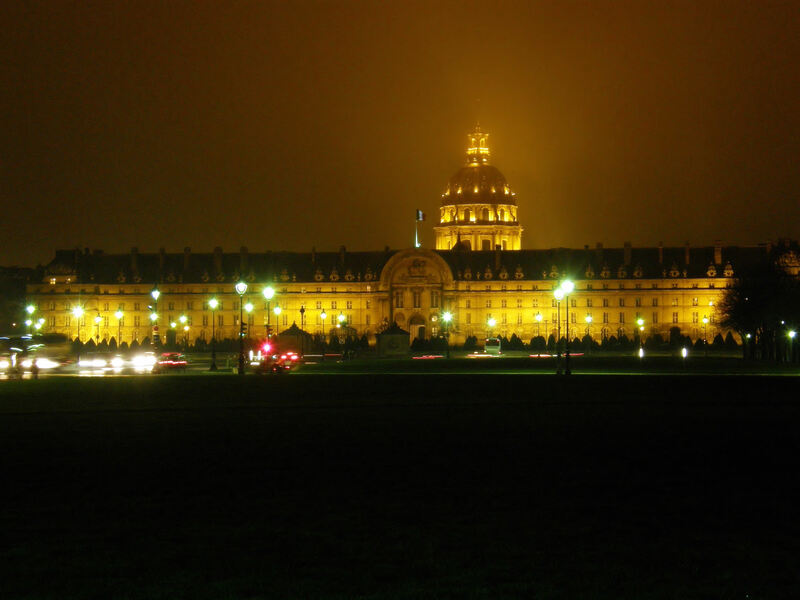 In Paris the night air is full of magic … You captured some of it!!! Thanks so much, Donna! What a beautiful thing to say. I hope you’ll come back and visit again, soon! Gorgeous photos, especially the first two when it disappears into the mist. Thanks so much! I’m glad you enjoyed the shots and hope you’ll visit again. Kind of amazing to see new views of the tower. I like how it is both a fairly simple structure and so complex at the same time. Pretty cool pictures. It’s so true that there are a lot of other photos out there and I just happened to have my camera at the right place at the right time. Very astute remarks about the structure! Thanks again for the props!